The New York Islanders are the least favored two seed in the NHL playoff matchups this year. This is based on one thing, Sidney Crosby. Let’s break this down and see if this is truly the case. When you look at the rosters as a whole the Penguins have a huge advantage based on playoff experience, and their top six forwards. There are an awful lot of Stanley Cup rings over there, and they should be given credit for every one of them. They’ve earned that right. They also have two of the top ten centers in the league, a patchwork of highly skilled defenseman, and one of the best playoff goalies of the past three years. How do you combat that? This is the matchup you’ll probably see at the beginning of the game and in most IDZ (Islander Defensive Zone) starts. The Penguins will want Sidney Crosby out there to take advantage of the position, and the Islanders will want the best fourth line in hockey out there to defend. You will also see a lot of Ryan Pulock and Adam Pelech in these situations. This will keep Pulock’s offensive abilities somewhat muted, but that pairing’s ability to breakout under pressure will keep the Islanders from sustained pressure by the Penguins top line. If this matchup breaks down the Islanders will be in for a short series. If the Islanders win this will have been the key matchup of the series. Barzal, Eberle and Lee are the three most offensively productive Islanders. They are not the three best defensive forwards on the team. 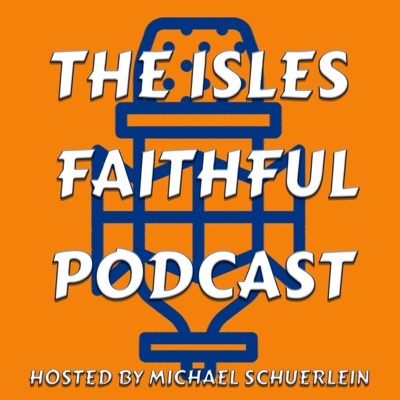 Barry Trotz will try to get them on the ice for IOZ (Islander Offensive ZOne) starts as often as possible. Matt Cullen is deployed almost exclusively in a defensive zone role. I expect to see a lot of this. In these situations I see the Islanders as having a slight advantage because Casey Cizikas is having such a good offensive season he may be able neutralize the Crosby line and add some offense when they break down. The Barzal line is rather new, and has been on a positive trajectory of production. These two situations should, surprisingly favor the Islanders. I see a lot of Filppula vs Malkin and Nelson vs Bjugstad. The Islanders are in a more defensive role in both of these matchups, and that is not good. It’s how they’ve operated all season and they’ve made it work with solid five man defensive strategies and great goaltending. That will have to continue for them to have any chance here. The one bright spot for the Islanders is the poor defensive showing of the Evgeni Malkin line. The Islanders will have to exploit this with some combination of Nelson and Bailey or Filppula and Beauvillier. If it is not working by game three they may have to switch from a defensive approach with Kuhnhackl to a more offensive one with Michael Dal Colle. The upside is that all six Islanders defenders can be deployed against any of the four lines without there being a clear mismatch in talent. The Penguins can boast the same claim. The difference is the Islanders have not been able to say this in any of their previous playoff matchups. I think they will try to get Pulock against Crosby, and Boychuk against Malkin as often as possible. I could see Letang being assigned to Barzal, but they may also want to match up a more physical defender like Gudbranson or Johnson with Lee. The Islanders may have a slight advantage here because of their neutral zone structure, and the fact that all six defenders can skate, and match up physically with all four of the Penguin lines. The Penguins will have some difficulty with the speed of Barzal paired with the physical nature of Lee. It’s almost a similar threat as Ovechkin on the same line as Wilson…and we all know how that turned out for the Penguins. By the numbers the Islanders have the advantage in 2018-19. Lehner and Greiss have been the best tandem in the NHL Matt Murray has two Stanley Cup rings and has been through this before. Advantage Penguins… until proven otherwise. This may be the matchup that turns the series. The Islanders’ goalies have outperformed all others during the regular season. This isn’t the regular season. Thomas Greiss won a playoff series with the Islanders, but has not been in the dance for past two years. Robin Lehner had a cup of coffee in the playoffs with Ottawa and played well, but it’s been six years for him. These two might be outstanding, but there is no recent evidence of such. I expect Lehner to get the nod in game one due to recent play. He’ll probably play until he loses two in a row. The Penguins have a pretty big advantage here. But the Islanders have the potential to turn that around. It’s a lot of pressure to put on Robin Lehner. But Robin put a lot of pressure on himself this year, and he has battled through all of it and come out on top. I like those odds. The Penguins have a huge advantage here. If Barry Trotz tries to steer this ship into the “physical” waters it will be a disaster. While both teams have penalty kill units operating at about league average (80%) the Penguins have a far better power play. The Penguins are successful 24% of the time and the Islanders only 14%. What that translates to is if they both had 4 PP chances per game in a seven game series the Pens would outscore the Islanders about 7 to 4. That would be a tough deficit to overcome 5 on 5. The Islanders will need to lean towards a skating series and try to limit the Penguins to two chances per game. That could keep the special teams deficit to a minimum. That means staying on the right side of the puck to avoid obstruction penalties. The must avoid touching Sidney. This is where we will see the experience bias. Barzal will get pounded at every opportunity because the Penguins will not fear retribution of the Islanders anemic power play. On the other hand the Islanders will have to avoid playing Sid and Gino physically. This could turn the series if Barry Trotz allows it to happen. I don’t think that will be the case, but it is something to watch. The Islanders must shut down Sidney Crosby. The last line of defense, the goaltenders will be the deciding factor. The Islanders’ Best Fourth Line In Hockey and their Jennings Trophy winning defense and goaltending must hold up for this series. It also doesn’t hurt to have the first two, the fifth, and the seventh games played at Fort Neverlose. It’s an advantage they fought for through 82 regular season games. I expect the building to be rocking and the crowd to be “Jacked“. If the Islanders stay out of the penalty box, and the goaltending maintains its regular season form the Islanders have the advantage. I could see the Islanders taking the series in six games.